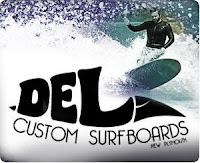 California-based PaddleAir Products Inc. is excited to announce that the Ergo is now available at Del Custom Surfboards in New Plymouth, New Zealand. 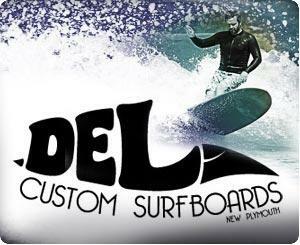 Del Surfboards joins our-ever growing list of international PaddleAir dealers. Del was founded in 1965 by Nigel Dwyer and Dave Littlejohn. Nigel and his right-hand man Robert Walsh (who has shaped for Del since the 1970s) manufacture the finest hand-crafted surfboards around. 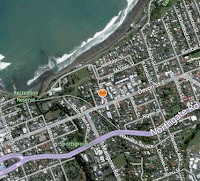 Stop by and check them out the next time your in New Plymouth at 454 Devon Street, Strandon, New Plymouth, New Zealand and visit their website anytime to see them in action and get full contact information (and see a live Fitzroy Beach webcam of surf conditions). See a full sized view of the map and get directions.